DISCLAIMER: The pinouts shown here were contributed by manufacturers, vendors and individuals. While every effort has been made to insure accuracy, LaserFX.com can not be responsible for any errors or omissions. 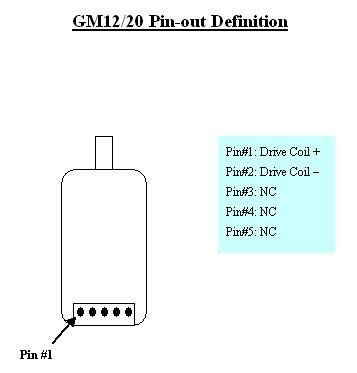 Pinout for the General Scanning GM20 actuator. This is not an official General scanning document, for the latest info, contact general scanning directly.